Yay!! I get to share with you another new Veggie Tales DVD! This time it’s ‘Twas the Night Before Easter! Of Course, Big Idea has done it again! Another full length Veggie Tales movie to fall in love with. My kids loved the giant robot bunny and dancing along with the silly song. It was a lot of fun watching the town auditions for the play. Veggie Tales has introduced a new character in this movie called Cassie Cassava. Cassie was inspired by the cassava root, which is a primary source of food for developing nations in Africa and South America. This vegetable was suggested by World Vision, and it’s been fun to see Cassie come to life! Cassie is voiced by former American Idol Melinda Doolittle. Her character is a singing sensation with a golden heart, who returns to her hometown to perform at an Easter service, but instead ends up getting roped into all sorts of veggie silliness and antics. You’ll have to watch the show to find out what happens! Welcome Cassie to the veggie family! It’s Easter time in Crisper County and cable news reporter Marlee Meade (Petunia Rhubarb) is hunting for a way to help others. On a tip that the old town theater will be shut down, Marlee cooks up a plan to save the stage and make a difference through the power of musical theater. With a cast of costume-clad townies, massive props and a 20-foot robot rabbit – “Up With Bunnies” is hatched! There’s only one thing missing – the star of the show! When news spreads that singing sensation Cassie Cassava (Melinda Doolittle) is arriving to perform in her hometown church’s Easter service, Marlee gets worried. Concerned about the competition, she schemes to steal the starlet for her own pageant! But when things go haywire, will it be curtains for Marlee’s dreams – or will she discover the true meaning of Easter and what helping others is really all about? There, of course, is a silly song in this video. It’s called the Hopperena. For once, Archibald has some fun! 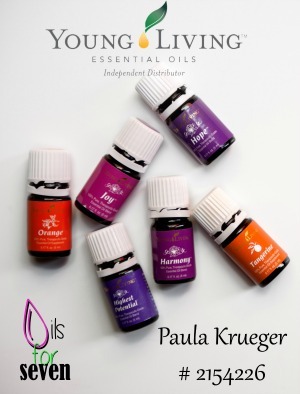 How would you like to win a copy for yourself? You can buy Twas the Night Before Easter at Amazon , at Wal-mart (It should be on an end-cap with an Easter egg dye kit attached!) on Veggie Tales or at other local Religious stores. 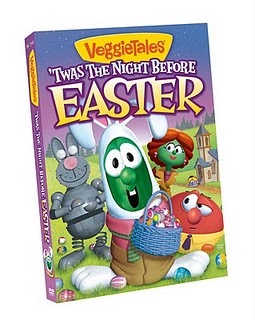 If you buy before March 28, 2011, you can get a 3 dvd combo on the Veggie Tales site for $24.99 and free shipping! You’ll get Twas the Night Before Easter, God Made You Special, and Happy Together. Tell me how your family celebrates Easter. Tweet about this contest once every 24 hrs. Please include @frostedfingers and @VeggieTales. You can click the tweet button above. Giveaway is open to US readers only. It will close 4/9/11. A big thank you to Big Idea for giving me a DVD to review and one to the winner. Winner will be selected by the And The Winner Is plugin. Winner will be posted here on Frosted Fingers and notified by email. Winner will have 48 hours to claim the prize. I was given the DVD in exchange for review; all opinions are my own. We color eggs and go on an Easter egg hunt. We don’t have any traditions now, but when I was little – we would go to church first and then have an egg hunt. Then, my sisters and I would spend the rest of the day re-hiding the eggs and taking turns re-finding them! 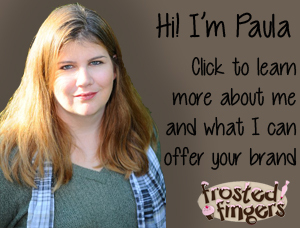 I Like Frosted Fingers on Facebook – liz t. n.
I Like Veggie Tales on Facebook – liz t. n.
We celebrate with church, candy, egg coloring and a big dinner. We attend church, have dinner and Easter egg hunt. My family regularly attends church. We go to church, where the kids do their skits and speeches, then we have a dinner with family. Our children hunt for eggs, then look for their Easter baskets, and then have a big dinner. We get up early Easter morning and hunt Easter baskets and then we are off to church for Sunrise Service. After church we head to my mom and dad’s for a big family dinner and Easter Egg hunt for all the grandkids. We go to my Mother-In-Laws house for Easter dinner and to hunt eggs! We paint eggs and eat with neighbors. We have a huge easter egg hunt! We attend church and then have a family lunch together. We wake up to Easter baskets and an Easter egg hunt. We get dressed up, go to Church and then meet family for brunch! We go to church, have dinner, then an Easter egg hunt. Everybody comes to my house. The kids have a huge Easter Egg hunt in our front yard while I make a Ham feast. We color eggs on Saturday night and have a hunt the next morning! We dye eggs and then we have a egg hunt the morning of. We go to church and out to eat afterward. Then we spend the day doing something as a family. I’m a Veggie Tales Facebook Fan. First we go to church and then have easter breakfast, easter eggs hunt and then off to famly for easter dinner and some easter themes movies. Every Easter it’s church, Easter Egg Hunt, baskets, dinner…and we love it! I hand out Easter baskets to the kids and we go to church, which means a lot to us. We then have a family dinner.